A coalition loyalty program is a loyalty points program that is used across multiple businesses. Customers earn points by shopping at each participating merchant. When they’ve accumulated enough points for a reward, they can redeem their points for select reward items at any participating merchant. Alternatively, the coalition program facilitator may choose to offer reward items. Coalition programs are often ideal for shopping centers, restaurant chains, local affiliations, industry affiliations, etc. However, there are many different uses for the program. Our loyalty experts will help you determine the best point to dollar ratio for your business. For example: 10 points = free coffee, 50 points = free dinner, 1000 points = free trip, etc. You may want to use special point promotions such as “Double Point Tuesdays” or “50 Bonus Points for customer referrals”. Automatic emails can be sent to your customers to thank them for visiting and provide a digital receipt of their points earned. Not only is this environmentally friendly, it’s a great convenience for both you and your customer. These features may be used together in any configuration to ensure that your program is completely customized to fit your business needs. Like always, the points program can be integrated and accessed over many different mediums including web portal, POS, webshop, terminal, mobile device, etc. A coalition gift card program is ideal for shopping centers, restaurant chains, etc. A coalition gift card allows a group of merchants to provide a single gift card that can be redeemed at any of their participating locations. You can choose to depreciate the card value by a certain percentage over a period of time. You can also add a recurring fee to the cards to deduct a custom value over time. Automatic emails can be sent to your customers to thank them for visiting and provide a digital receipt of their remaining balance. Not only is this environmentally friendly, it’s a great convenience for both you and your customer. 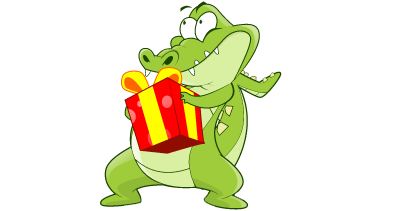 Loyalty Gator makes it affordable to start your own coalition loyalty rewards program across multiple merchants. Our low monthly pricing comes packed with lots of great features and no transaction fees! Ask us about our program pricing for coalition, specialty, and reseller plans. Keep your customers thinking about you with relevant communication. Automatic Transaction Emails can be sent to your customers immediately after their purchase, plus you can include a special promotion for your loyal customers.